Thank you for using BetFame. These General Terms and Conditions (the “Terms”) are intended to make you aware of your legal rights and responsibilities with respect to your access to and use of the BetFame website at https://www.betfame.com/ (the “Website”) and the related BetFame mobile and software applications, available through the iOS App Store and Google Play (the "Mobile App"), together referred to as “BetFame”, including but not limited to delivery of information via the Website or Mobile App. Please read these Terms carefully. By accessing or using the Website or Mobile App, you are agreeing to these Terms and concluding a legally binding contract with Tmax Venture Sdn Bhd, a company incorporated and existing under the laws of the Malaysia. Do not access or use the Website and/or Mobile App if you are unwilling or unable to be bound by the Terms. Actually using the Services. In this case, you understand and agree that BetFame will treat your use of the Services as an acceptance of the Terms. Tmax Venture Sdn Bhd is a commercial company, providing the Services offered through the Website and Mobile App. We "We" or "us" refers to Tmax Venture Sdn Bhd. BetFame is a web- and mobile based Internet platform, owned by Tmax Venture Sdn Bhd, a company incorporated and existing under the laws of the Malaysia, registered under an 1258833-D, having its seat and registered office at Tower A Level 1 Unit 05 Vertical Business Suite Avenue 3 Bangsar South 59200 Kuala Lumpur, which enables users to use the Services of the Website and the Mobile App, which are the subject of these Terms of Service. User "User" or "you" or "your" refers to you, as a user of the Services. A user is someone who accesses or uses the Services for the purpose of sharing, displaying, hosting, publishing, transacting, uploading information or sports tips or viewing and purchasing sports tips pictures and includes other persons jointly participating in using the Services, including without limitation a user, who is a “Junior”, “Novice” or “Premium” Tipster or a user having access to a given tip, regardless of whether it is a “FREE”, “Novice” or “Premium” tip. Every User may purchase the predictions and tips of each Tipster directly, subject to our Terms and Conditions for Sale. Services "Services" include any and all services, which Tmax Venture Sdn Bhd may offer to the User, through the Website and the Mobile App. 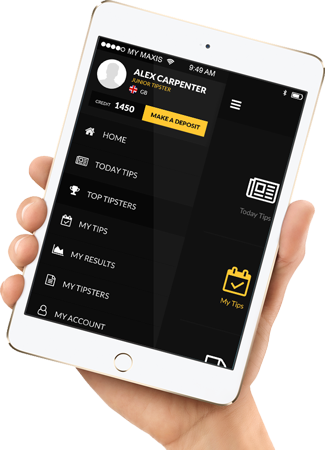 Tipster “Tipster” shall mean any User, who offers or furnishes tips, as for betting or speculation through the BetFame Website and/or Mobile App. Any person who wishes to sell their predictions on the BetFame Website and Mobile App may apply to become a Tipster. User Account "User Account" is a separate part of the Website and Mobile App, containing User information required by BetFame during registration. The User Account is accessed by the User through entering an email and a password. Content "Content" will include (but is not limited to) tips, images, photos, audio, video, location data, 'nearby places', and all other forms of information or data. Your Content "Your Content" or "User Content" is the content, submitted by you, as a User of the Website and Mobile App. It includes, but is not limited to what you upload, share or transmit to, through or in connection with the Services, such as tips, likes, ratings, reviews, images, photos, messages, User Account information, and any other materials that you publicly display or are displayed in your User Account profile. BetFame Content "BetFame" means content that BetFame creates and makes available in connection with the Services, including, but not limited to: visual interfaces, interactive features, graphics, design, computer code, products, software, aggregate ratings, reports and other usage-related data in connection with the activities associated with your User Account and all other elements and components of the Services excluding Your Content and third party content. "Third Party Content" means content that comes from parties other than BetFame or its Users and is available in or through the Services. Eligibility You hereby represent and warrant that you are at least eighteen (18) years of age or above and are fully able and competent to understand and agree with the terms and conditions, obligations, affirmations, representations, and warranties set forth in those Terms. 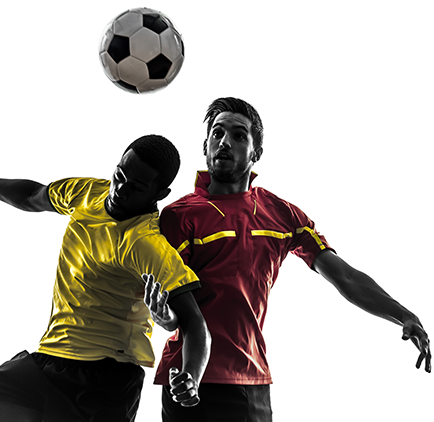 Compliance with the laws You are responsible for complying with all betting and tipping laws and regulations in the country in which you live when you access and use the Services. You agree to use the Services only in compliance with these Terms and the applicable law of your country and in a manner that does not violate our legal rights or those of any third parties. Website and Mobile App Availability The Website and Mobile App may be modified, updated, interrupted, suspended or discontinued at any time without notice or liability. User Accounts You must create a User Account and provide certain information about yourself in order to use (some of) the Services that are offered through the Website and Mobile App. You are responsible for maintaining the confidentiality of your User Account password. You are also responsible for all activities that occur in connection with your User Account. You agree to notify us immediately of any unauthorized use of your User Account. We reserve the right to close your User Account at any time for any or no reason. Communications from BetFame By creating a User Account, you agree to receive certain communications in connection with the Website and Mobile App. BetFame may amend, change or update these Terms, from time to time, entirely at its own discretion. You shall be responsible for checking these Terms, from time to time, and ensuring continued compliance with these Terms. Your use of the Services after any such amendment or change in the Terms shall be deemed as your express acceptance to such amended/changed Terms and an assent to be bound by such changed/amended Terms. BetFame may provide a translation of the English version of the Terms into other languages. You understand and agree that any translation of the Terms into other languages is only for your convenience and that the English version shall govern the terms of your relationship with BetFame. In case there are any inconsistencies between the English version of the Terms and its translated versions, the English version of the Terms shall prevail. Responsibility for Your Content You are responsible for the content you publish. You assume all risks associated with the content you publish, especially your tips, including anyone's reliance on their quality, accuracy, or reliability, disclosure or truthfulness of information. You represent that you are competent to publish content. You may not imply that the content published is in any way motivated, sponsored or endorsed by BetFame. Tips posted by Tipsters do not reflect the opinion or forecasts of BetFame. Right to use Your Content. By submitting Your Content you hereby irrevocably grant us a perpetual, irrevocable, non-exclusive, royalty-free right to use the published content. Ownership of Content As between you and BetFame, you own Your Content. We own the BetFame Content, including, among others, visual interfaces, interactive features, graphics, design, compilations, including (but not limited to) our database of user content and other Website and Mobile App Content, computer code, products, software, aggregate Tipster review ratings, and all other elements and components of the Website and Mobile App, excluding User Content and Third Party Content. We also own the copyrights, trademarks, trade names, and other intellectual and proprietary rights ("IP Rights"), associated with the BetFame Content, the Website and Mobile App. This means that you may not modify, reproduce, distribute, create derivative works or adaptations of, publicly display or in any way exploit the BetFame Content, in whole or in part, except as expressly authorized by us. Content Removal We reserve the right, at any time and without prior notice, to remove, block, or disable access to any content that we, for any reason or no reason consider to be objectionable, in violation of the Terms or otherwise harmful to the Services or our Users in our sole discretion. When a particular action is not explicitly referred to in this clause, but is an obvious violation of Art. 7, the clause should be interpreted broadly, in favour of BetFame, and this action should be considered as if it was included in this clause. The Services may contain, or you may be sent through the Website or Mobile App to, links to other websites (“Third Party Websites”), as well as articles, photographs, text, graphics, pictures, designs, music, sound, video, information, applications, software and other Third Party Content. Such Third Party Websites and Third Party Content are not investigated, monitored or checked for accuracy, appropriateness, safety or completeness by BetFame and BetFame is not responsible for any Third Party Websites accessed through the Website or Mobile App or any Third Party Content posted on, available through or installed from the Website or Mobile App. Parts of the Website or Mobile App may contain such advertising information or promotional material or other material submitted to BetFame by third parties. Responsibility for ensuring that material submitted for inclusion on the Website or Mobile App complies with the applicable international and national laws is on the party providing the information/material. Your correspondence or business dealings with, as well as the participation in promotions of, advertisers other than BetFame, found on or through the Website and/or Mobile App, including payment and delivery of related goods or services, and any other terms, conditions, warranties or representations associated with such dealings, shall be solely between you and such advertiser. BetFame will not be responsible or liable for any error or omission, inaccuracy in advertising material or any loss or damage of any sort incurred as a result of any such dealings or as a result of the presence of such other advertisers on the Website or Mobile App. By sending us any ideas, suggestions, documents or proposals ("Feedback"), you agree that (i) your Feedback does not contain the confidential or proprietary information of third parties, (ii) we are under no obligation of confidentiality, express or implied, with respect to the Feedback, (iii) we may have something similar to the Feedback already under consideration or in development, and (iv) you grant us an irrevocable, non-exclusive, royalty-free, perpetual right to use, modify, prepare derivative works, publish, distribute and sublicense the Feedback, and you irrevocably waive, against BetFame and its users, any claims and assertions of any moral rights contained in such Feedback. YOU ACKNOWLEDGE AND AGREE THAT THE SERVICES, ACCESSIBLE ON OR THROUGH THE WEBSITE OR MOBILE APP ARE PROVIDED "AS IS" AND "AS AVAILABLE". TO THE FULLEST EXTENT, PERMITTED BY THE APPLICABLE LAW, Tmax Venture Sdn Bhd DISCLAIMS ALL WARRANTIES, EXPRESSED OR IMPLIED, INCLUDING BUT NOT LIMITED TO THE FACT THAT: (I) THE SERVICES, ACCESSIBLE ON OR THROUGH THE WEBSITE OR MOBILE APP MAY BE TRADED OR SUITABLE FOR A SPECIFIC PURPOSE, (II) THE SERVICES, ACCESSIBLE ON OR THROUGH THE WEBSITE OR MOBILE APP WILL OPERATE WITHOUT INTERRUPTION AND ERRORS, (III) DEFECTS WILL BE RECTIFIED, (IV) THERE ARE NO BUGS, VIRUSES, TROJAN HORSES OR THE LIKE, WHICH MAY BE TRANSMITTED TO OR THROUGH THE SERVICES, FOLLOWING THE ACTIONS OF THIRD PARTIES, (V) THE SECURITY METHODS USED WILL BE SUFFICIENT FOR THE PROTECTION OF THE SERVICES AND THEIR USERS, AND (VI) WITH REGARD TO THE CORRECTNESS, ACCURACY OR RELIABILITY, THERE WILL BE NO LOSS OF DATA, CONTENT OR INFORMATION. DOWNLOADING OR OTHERWISE OBTAINING MATERIALS THROUGH THE USE OF THE SERVICES IS DONE AT YOUR OWN DISCRETION AND RISK. YOU WILL BE SOLELY RESPONSIBLE FOR ANY DAMAGE TO YOUR COMPUTER, MOBILE PHONE, TABLET OR OTHER DEVICE OR FOR LOSS OF DATA THAT RESULTS FROM THE DOWNLOADING OF ANY SUCH MATERIAL. 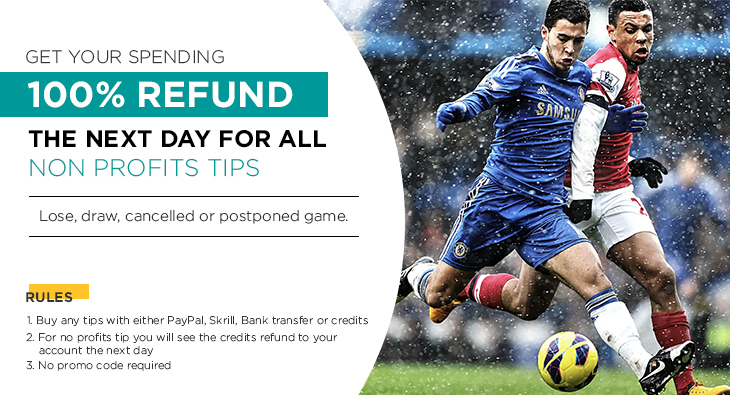 YOU SHALL ALSO BE RESPONSIBLE FOR THE LOSSES INCURRED DUE TO YOUR RELIANCE ON ANY OF OUR TIPSTERS’ FORECASTS. BETFAME WILL NOT BE A PARTY TO OR IN ANY WAY BE RESPONSIBLE FOR MONITORING ANY TRANSACTION BETWEEN YOU AND THIRD-PARTY PROVIDERS OF PRODUCTS OR SERVICES RELATED TO THE BETFAME SERVICES. YOU ARE SOLELY RESPONSIBLE FOR ALL OF YOUR COMMUNICATIONS AND INTERACTIONS WITH OTHER USERS OF THE SERVICES AND WITH OTHER PERSONS WITH WHOM YOU COMMUNICATE OR INTERACT AS A RESULT OF YOUR USE OF THE SERVICES. THE COMMUNICATION WITH BETFAME, WHETHER WRITTEN OR ORAL, IN CONNECTION TO, TROUGH THE OR AS A RESULT OF USING THE SERVICES SHALL NOT CREATE ANY WARRANTIES NOT EXPRESSLY STATED IN THE TERMS. UNLESS YOU HAVE BEEN EXPRESSLY AUTHORIZED TO DO SO IN WRITING, YOU AGREE THAT WHEN USING THE SERVICES, YOU WILL NOT USE ANY TRADEMARK, TRADE NAME OR LOGO OF ANY COMPANY OR ORGANIZATION IN A WAY THAT IS LIKELY TO CAUSE CONFUSION ABOUT THE OWNER OF SUCH MARKS, NAMES OR LOGOS. BETFAME MAKES NO PROMISES WITH RESPECT TO ANY THIRD PARTIES, SUCH AS ANY ADVERTISERS THAT CAN BE SEEN ON THE WEBSITE OR MOBILE APP OR OTHER USERS OF THE SERVICES. BETFAME IS NOT LIABLE TO YOU FOR ANY LOSS OR DAMAGE THAT MIGHT ARISE FROM THEIR ACTIONS OR OMISSIONS, INCLUDING, FOR EXAMPLE, IF ANOTHER USER OR BUSINESS MISUSES YOUR CONTENT, IDENTITY OR PERSONAL INFORMATION, OR IF YOU HAVE A NEGATIVE EXPERIENCE WITH OUR SERVICES OR ANY OTHER GOODS OR SERVICES PROMOTED OR FEATURED ON THE WEBSITE OR MOBILE APP. BETFAME'S MAXIMUM AGGREGATE LIABILITY TO YOU FOR LOSSES OR DAMAGES THAT YOU SUFFER IN CONNECTION WITH THE SERVICES IS LIMITED TO THE ACTUAL OUT-OF-POCKET AMOUNT PAID BY YOU TO BETFAME. BETFAME DISCLAIMS LIABILITY FOR ANY (I) INDIRECT, SPECIAL, INCIDENTAL, PUNITIVE, OR CONSEQUENTIAL DAMAGES, (II) LOSS OF PROFITS AND RESULTING DAMAGE, (III) BUSINESS INTERRUPTION, (IV) REPUTATIONAL HARM, OR (V) LOSS OF INFORMATION OR DATA. Any and all claims, judgments, and awards shall be limited to the greater of: the actual out-of-pocket amount paid by you to BetFame for accessing the Website, Mobile App and the Services, but in no event attorneys' fees; and under no circumstances you will be permitted to obtain awards for, and each User hereby waives all rights to claim punitive, incidental, consequential damages or any other damages other than actual out-of-pocket expenses for using the Services of BetFame. You may terminate the Terms at any time by closing your User Account, discontinuing your use of the Website and Mobile App or providing BetFame with a notice of termination. The Terms contain the entire agreement between you and BetFame regarding the use of the Website and Mobile App.